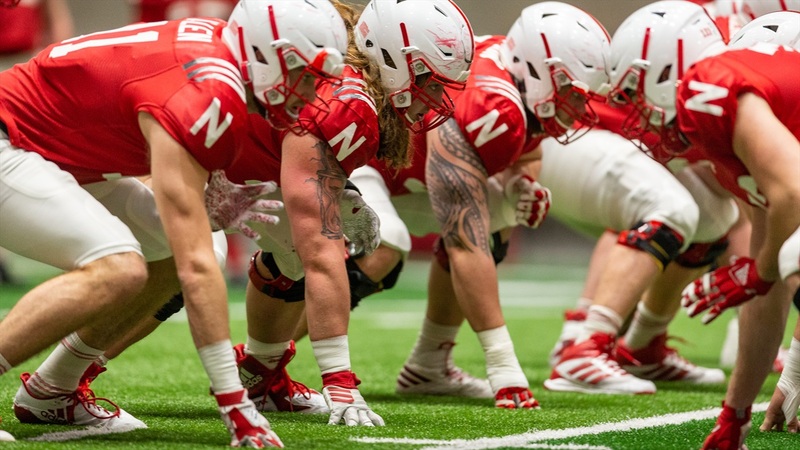 Everything starts in the trenches in football, and the battle between the lines in practice has been fierce all spring long from what the coaches have said. The defensive line was somewhat underwhelming in Year 1 under Scott Frost, but most of that group is back and a key graduate transfer has added some extra juice to that room. Defensive line coach Mike Dawson departed in February but from all reports, Tony Tuioti hasn’t missed a beat. “Tony and the things that he’s teaching those guys, they’re playing better, they’re playing a heck of a lot better from last spring,” offensive line coach Greg Austin said. “Now, they have more knowledge of what they’re doing, they have discipline, they’re playing more fronts — they’re changing up their fronts. So they’re playing, overall, better. I have a quote — it’s more of a verse that a live by: ‘one man learns from another as Iron sharpens iron.’ We have it up in our room, so I expect the O-line and the D-line to sharpen one another. The feeling — and the mantra — is mutual across the line of scrimmage. In fact, those battles have spilled over past the whistle from time to time. The coaches certainly aren’t complaining about the skirmishes, though. Austin said the Huskers got into a few skirmishes last week because the offensive players finished a few blocks and the defensive ones took exception. That’s what he wants to see. What he doesn’t want to see is a team ready to fight at the drop of a hat, and that hasn’t been the case this spring. Tuioti said he enjoys having players with that kind of passion. His job is to channel that into winning football plays. For the Blackshirts, the defensive line has to be the group that sets the tone up front while the back eight rallies behind them. Sophomore defensive back Cam Taylor said that’s the direction in which the group is heading this spring. Tuioti said any players that get on the field and don’t rally to the ball or insert themselves into the action will quickly find themselves standing on the sideline next to their coach; those guys can’t play for the Blackshirts. Tuioti said the leaders in the room have done a good job upholding that standard. “It starts up front and our guys take a lot of pride in doing that,” Tuioti said. “I’m just proud of the way they come out to practice each and every day. Darrion Daniels does an awesome job trying to set that tone. We’ve got vocal leaders and we’ve got some quiet leaders, and Ben Stille is one of those quiet leaders that has been great for us. He’s been consistent. He’s like the north star that’s always there — consistent and I don’t have to worry about him. It’s great to have those kinds of leaders. Is he a vocal guy? No, but when he speaks everybody’s going to listen and it’s great to have those type of guys. On Saturday, the trench warfare will take to the field at Memorial Stadium as both lines will get the chance to showcase what they’ve been working on in front of 90,000 fans.